•	Be sure to leverage the special deals and savings opportunities that are only ever going to be made available to customers that sign-up for the free email newsletter published by ChicNico. Visitors to this website will have the chance to sign up for a free email account, and afterwards will get special savings opportunities sent out to them regularly without any strings attached. Unsubscribe at any time, and for any reason, without any trouble, either. •	Special offers, including exclusive sales events, will be prominently displayed on the main page of the ChicNico website. Visit routinely to find out about the most recent offers available. •	Check out the social media accounts maintained by ChicNico and never miss upcoming sales offers or special coupon codes. 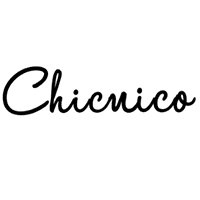 ChicNico.com designs, produces, and sells a wide variety of fashion clothing items for women. The company currently offers an online discount code of J12 for 12% off on all jewelry. Free shipping is offered on orders that go over 50.00. You can also use the online discount code CHICNICO60 to save 10% on all orders over 60.00. You can browse fall collection items like cardigans, sweater tops, and rompers. You can also browse in such categories as swimwear, clothing, jewelry, and accessories. Flash sales are also frequently held on the site. Dresses, jumpsuits, skirts, bracelets, and body jewelry are just a few of the specific items you can purchase. For most up to date offers check out Chicnico on Facebook and Twitter or contact Chicnico Support for any questions.